Pauly Presley Realty is built on a foundation of high standard and even higher business ethics. We take pride in providing our clients with the highest quality service possible to make the home buying experience a little bit easier and stress-free. That is why reviews from previous clients is so important to us. They help us raise our standards for service even higher and help serve our clients better. 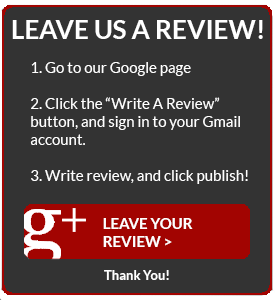 If you are a former client and would like to let us know how we did, we would greatly appreciate it if you took a moment to leave us a review on Google Plus! You can also scroll down to hear more from our previously satisfied clients. I wanted to take a moment to let you know how impressed I was working with Catherine Leigh at Pauly Presley. After 4 years in my business location off South Lamar, I felt our options were going to be extremely limited within our budget. Catherine spent a great deal of time with me and my team assessing our needs, understanding our technical requirements and style preferences. Within 30 minutes of our meeting she had located a space in our desired neighborhood, within our budget and had us in to see it within the hour. It was perfect. I had multiple questions and requests to which Catherine responded immediately and ushered the signing through without issue. In my many years dealing with realtors, I have to say she was the most on top of it, friendly and professional realtor I've dealt with.Roka M.
Clay Holsey was recommended to my wife and I by a somewhat random stranger we met while on vacation in Spain. We found his services to be very helpful. He is responsive, thorough and professional. We were searching for a small, "starter" apartment in Austin, and yet he still treated us like a top client. Thanks again for all your help.Stephen J.